Wentzville MO Orthodontist Answers: What Is An Ideal Bite? 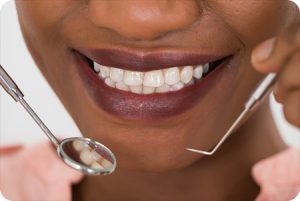 When we smile, the world primarily sees our front six teeth, but to evaluate a bite based on that first impression would be to ignore the intricacies of the other 26! In this article, our Wentzville MO orthodontist details the complexity of an ideal bite – which involves far more than whether your teeth look straight or not. Aesthetics aside, a proper bite ensures a lifetime of comfortable chewing and prevents premature wear and tear to your teeth. The information provided in this article is not meant to be medical advice and is for educational purposes only. If you would like to learn more about this and other topics related to orthodontics, feel free to contact Borello Orthodontics, with a convenient orthodontic office location near Wentzville MO, by clicking here or by calling314.821.2400.